Do you enjoy watching wildlife in the comfort of your own back yard? Bird feeders are the perfect addition to any landscape that allows you to do so! Wild bird feeders can be as much decorative as they are functional so you can get the best of both worlds. Since there are so many wild bird feeders on the market that appeal to different types of birds and personalities, choosing the right one for you depends on several factors: what species live in your area, what the climate of your region consists of, how often you will be able to fill your feeders and one of the biggest factors is whether or not squirrels are a problem in your area. Before finding the perfect bird feeder for your yard, you need to know what kind of birds are actually in your area. Don’t decide on a pretty little tweety-bird feeder when you are trying to attract larger kestrels to your back yard. 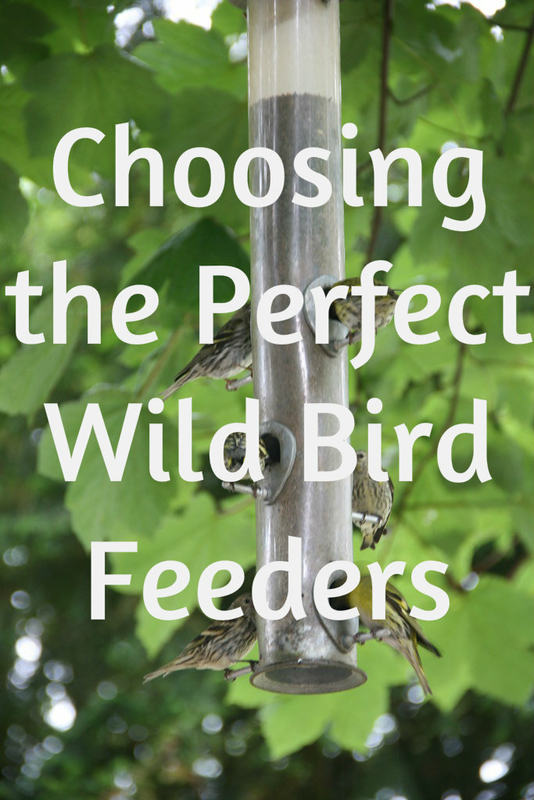 There are plenty of feeders that feature large platforms for bigger birds or for a variety of birds to eat at the same time. There are screen and mesh feeders for bird species that like to “cling” to a surface while eating. Some birds love mixed seed while some prefer to eat from a suet cake. Do you notice a lot of hummingbirds in your yard? Then you will need a bird feeder that dispenses nectar. 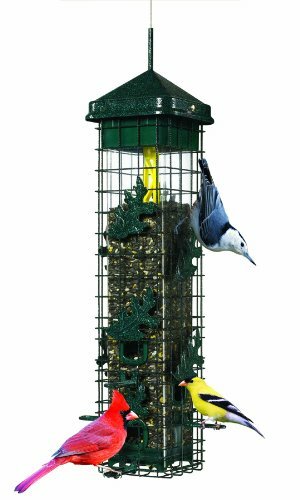 Something you will notice in your search for a wild bird feeder is that there are a lot of decorative feeders out there. You may find yourself wondering how these pretty little decorations can actually be functional. Well, there are a ton of gorgeous feeders on the market that serve as high quality and effective feeders! Decorative bird feeders are so charming and unique, you’ll want to feature them indoors and out. Bird watchers come in all types; but some like to really note the details that can only be seen up close to a bird while eating. To observe wild birds feeding up close, you might choose to go with a window feeder. These clear-colored feeders attach to any glass window on your home, allowing you to spot the birds’ feather coloring and behaviors. These feeders are educational and fun for the whole family! After figuring out the type of bird you want to attract to your feeder, you need to consider the weather conditions your area experiences. Windy conditions mean that a ton of bird seed will be wasted and tossed on the ground if you decide on a feeder that exposes a lot of your food, such as a platform. In these cases, a tube feeder is a smarter choice since the seed cannot go anywhere during gusts of wind. If your area experiences a lot of rain, make sure your seeds have a way of draining. If water sits with your seeds long enough, they will rot and make your wild bird very sick. Lastly, you need to take into consideration the predators that haunt your yard. Putting out wild bird seed won’t only attract birds; and before you know it, you have a squirrel problem! These bushy-tailed pests will stop at nothing to steal your expensive bird seed and scare away all the birds that would normally come to your feeder. To keep them out, there are a lot of squirrel-proof feeders and accessories that make any feeder squirrel resistant. Caged feeders allow in only a specific sized bird to eat, and offers them protection so they aren’t disrupted. Baffles are domes that come on the feeder, or can be attached to your feeder. They are smooth so that squirrels and raccoons have a hard time climbing the feeder and eating your valuable bird seed. They end up sliding right off; being the perfect defense system! Weight-activated feeders close off access to the seed supply when a heavier weight triggers a spring. When the squirrel jumps off the feeder, the seed is available to the birds again. Electric and motorized feeders are one of the most effective and most hilarious of all! These weight-triggered feeders operate on the principle that uses the squirrel’s weight to trigger a battery-powered motor to flip or spin the feeder’s perch. This will send the unsuspecting squirrel off the feeder and into orbit! Squirrels will eventually learn their lesson while your family gets in a good laugh! Next Next post: The Cardinal Bird Feeder – What Works Best?